Unique range of materials: Swappable printing modules allowing you to print a range of materials including ABS, PC and PEEK. Use anywhere: Air filtration system removes odours and ensures user safety. Automatic material recognition: NFC reader recognises and sets the material settings, saving time and ensuring high quality prints. 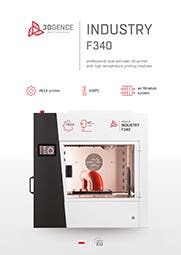 The Industry F340 is a reliable, robust extrusion based 3D printer that is capable of producing parts in a range of materials to a very high standard. The F340 has a number of key features that make this possible, read on to find out more. A key feature, an enclosed print chamber is a must for any 3D printer wanting to print ABS prints - particularly larger prints or flat shapes when warping is more likely to occur. The F340 has produced the best ABS prints we have ever seen. It also includes an air filter which means it can get rid of any nasty odours. 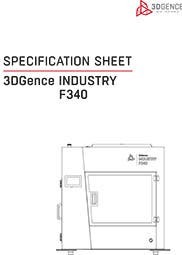 The F340 has 4 interchangeable print modules: Pro, HF, HT and HT Max. 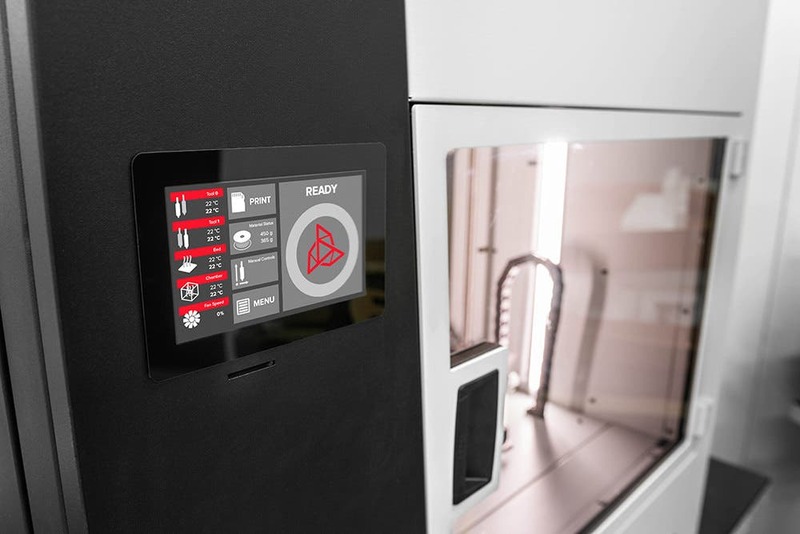 Each print module is designed for a different temperature range or material set. Pro - With a temperature range of 190°C – 265°C the Pro module is suitable for printing in ABS, PLA, PET, PP, ASA and Nylon, with support materials including BVOH (water soluble) and HIPS (breakaway). HF - This module runs on 0.6mm nozzle as opposed to the Pro's 0.4mm. The temperature range is the same as Pro (190°C - 265°C) but the HF module can print additional materials such as PA-CF and PA-GF with HIPS or soluble ESM-10 supports. HT - With a higher temperature range (265°C – 340°C) than the Pro module, the HT (High Temp) module can print in PC, PC-ABS and PC-ESD, whilst using ABS for its support material. 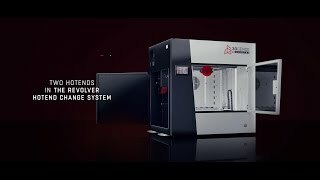 HT Max - Printing in the 340°C – 500°C temperature range, the HT Max module can print in PEEK, with breakaway supports. With the Pro print module you can use a water soluble material to remove your support material. However, this is not possible in all cases, for example with the HT and HT Max modules. In this case the F340 prints in a special pattern that allows you to simply break away the support material, often with just your hands, to leave a clean, unscarred finish. Check out the video above to see what we mean. NFC Reader - all materials are chipped and can be read by the NFC reader which will set all the material settings for you before printing. This ensures you always use the correct settings and it can save you time in preparing the print. 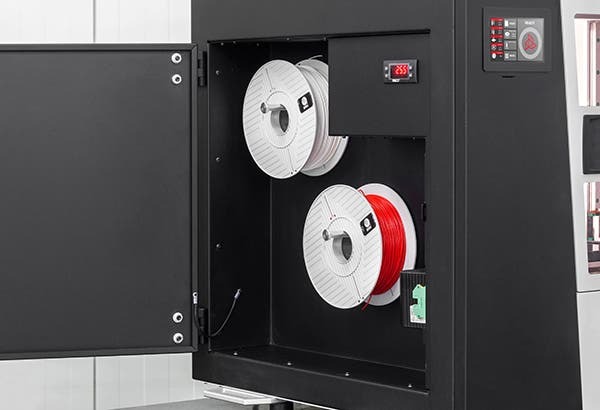 Material weight control system - the F340 constantly weighs how much filament is left and will pause the print if it looks like you will run out. Flow control sensor - In the unlikely event you have a filament jam the F340 will pause your print and allow you to clear the jam without losing your print. Automatic material loading system - The F340 loads the filament for you, saving you time and preventing any mishaps from leaving the print head heated for too long. The F340 comes with a humidity controlled material chamber so that your material doesn't degrade over time.